The insurance sector is highly diverse and offers a constantly changing work environment. Careers in the insurance industry can be immensely wide-ranging, but they ultimately revolve around the safeguarding of an entity’s financial assets when an unexpected occurrence happens. Underwriters are responsible for determining a client’s eligibility for a policy, additional terms and conditions part of the plan, as well as the amount of premium to be paid by the client. As part of the insurance claims department, you’ll be involved in assessing the validity of submitted claims, as well as liaising with policyholders to ensure that the repayment process is completed efficiently. Loss adjusters share a relatively similar job scope with insurance claims handlers – e.g. checking the validity of a claim, establishing the causes of a loss, etc. – except they typically work as an independent third party, and are attached to specialist practices instead of insurance companies. Insurers generally seek the services of loss adjusters, instead of claims managers, for more complex claims. The responsibilities for this position varies according to the employer’s area of speciality, but working in the business division typically involves a mix of duties such as promoting services to potential clients, as well as identifying and following up on new opportunities. Insurance brokers help clients match their needs with the most suitable insurance products for the best premiums. Actuaries help their clients to forecast, manage, and advise on financial risks through the application of financial and statistical theories. Product managers at insurance companies are responsible for creating, testing, and launching new insurance products for potential customers. Their responsibilities may include market research, sales forecasting, as well as regulatory compliance. In this role, you will be primarily responsible for managing and encouraging the customer service department. Insurers will require a variety of other expertise to support their core business, such as technology specialists, marketing, and HR personnel. Your main employer will probably be insurance companies, but insurance brokerage, retail banks, and supermarkets are very welcoming of graduates as well. You may also want to consider specialist consultancies, where they carry out very specific roles, such as specialising in life insurance or loss adjustment. Most large employers offer training/graduate schemes to help you adapt to your new working environment. The schemes are usually rotational to provide diverse experiences to help you understand the company better. Others, on the other hand, will rely on on-the-job training, and formal/informal mentorship programmes from senior team members. This encompasses the different types of insurance policies save one – life insurance. This is crafted specifically for business organisations, protecting them against unforeseen events such as theft, property damage, liability, or other disruptions to their day-to-day operations. Life insurance is purchased as a form of financial protection and aid for named beneficiaries in the case of a premature death. This consists of a range of insurance contracts that protects an individual financially in the event of a misfortune. Common examples of this type of insurance include policies for personal automobiles, properties, and illnesses. This is purchased for insurers and acts as a risk management strategy for them. 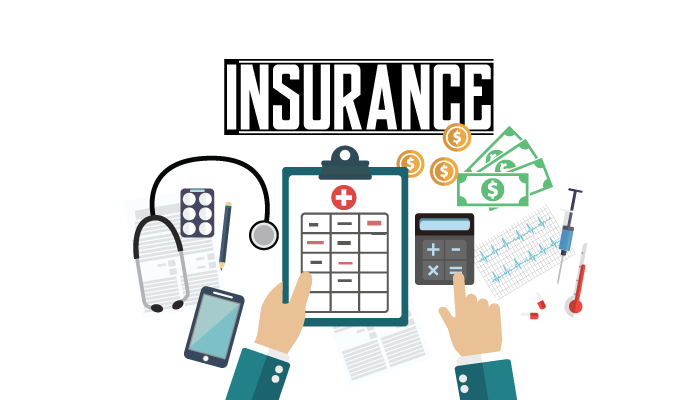 For instance, when an insurer foresees itself encountering a financial strain due to an unexpectedly large payout for his/her clients, they may opt for reinsurance as a method to mitigate that risk. Remember, though, that the insurance industry is always expanding, and that these are only basic products. To score at job interviews with insurers, it’s important that you read up on other unique offerings that the company is involved in as well. Employers in this industry value graduates with skills such as the ability to react promptly, numeracy, good attention to detail, and great client-facing skills. Generally, most employers will state a preference for numerate or business/management-related degrees. While this is especially so for actuary positions, graduates from all degree disciplines are usually welcome to try for other roles in the sector. Also, your employer may also urge you to sit for examinations from professional bodies. The certifications obtained are usually vital for career progression. If you enjoy meeting new people and working in a stimulating environment, then this could be an industry worth exploring. However, do be aware that certain positions in the insurance industry can be deskbound with relatively little variety, such as the underwriter position. On the other hand, if you’re working as an insurance sales representative, then you can expect a lot of travelling opportunities. Not all asset management jobs are equal, and don’t be too quick to show off your stock ideas during a job interview! Make Social Media Work for Your Job Hunt! Discover how you can use social media to your advantage in your job hunt!